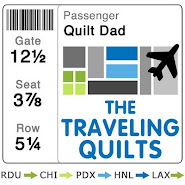 Quilt Dad: Quilters Take Raleigh -- This Friday! Quilters Take Raleigh -- This Friday! I had a great time attending the Quilters Take Manhattan event last summer, sponsored by the Alliance for American Quilts (see my post here). That's why I was excited to learn that the Alliance was bringing a similar event to my hometown of Raleigh, N.C. ... and even more excited when they again asked me to be part of it! 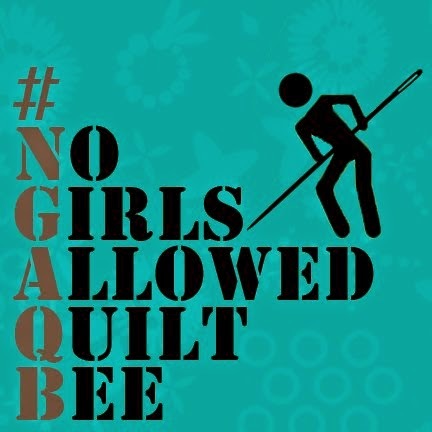 As part of the Original Sewing and Quilting Expo taking place at the Raleigh Convention Center this weekend, the AAQ has planned several great events. On Friday evening I will be moderating what is sure to be a FANTASTIC panel discussion about one of my favorite topics: spotting trends in the quilting and fabric industry! Join me on Friday, June 22 in Raleigh, N.C. at the Original Sewing and Quilt Expo to support the Alliance for American Quilts (Quilt Alliance) in their effort to document and preserve the art of quilting. Gold sponsors of this event are FreeSpirit and Rowan fabrics and you won't want to miss the fabulous goodies they are giving away to guests! Enjoy luscious chocolate desserts, refreshments and a lively panel discussion including me! Additional panelists for “From a Bird’s Eye View: Trendspotting from Across the Quilt World,” include “Quilt Dad” John Adams; Cathy Alston-Kearney of the Heritage Quilters group of historic Warrenton, N.C.; Beth Hayes, Editor-in-Chief of McCall’s Quilting; Tula Pink, author and FreeSpirit Fabric designer; Cathy McKillip, innovative quilting retailer; Christine Zoller, contemporary quilt artist and Associate professor of Textiles at East Carolina University. Quilters themselves become part of the story during the debut of "Go Tell It at the Quilt Show" interviews with quiltmakers and the Quilt Alliance premiers its 2012 contest quilts "Home is Where the Quilt Is". For all of my local NC quilters and friends, I hope to see you there! Ooh. Wish I could. Louisiana is a long drive to NC. ;-). Hope y'all have fun. Curious... What event state-side is similar to the Fat Quarterly Retreat held in London recently? Sound like y'all had so much fun! I'm going to the expo friday, but will go back in the afternoon- I'm sure. I so sorry to miss it. I hope you will blog about it soon. Thanks. Thanks for the links and the info!! Can't think of a better way to spend my birthday... if only I could convince my husband to fly me from Salt Lake to Raleigh!!! Will be waiting for the post about the show!